Help Friends of the Island Fox reduce a major threat to the Santa Catalina Island fox (Urocyon littoralis catalinae): human trash. Yes, eating human food is bad for island foxes. Adults dependent on human food fail to teach hunting skills to their offspring. 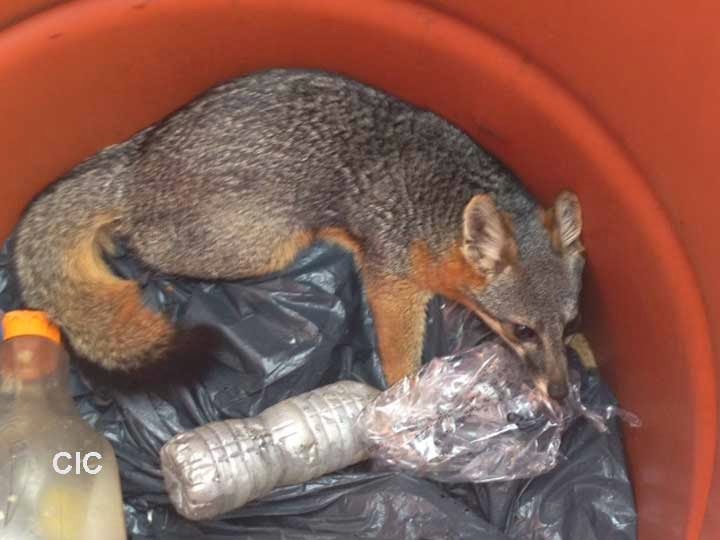 (Island fox diet) However, the greater threat is the attraction of trash and the behavior island foxes engage in to reach readily available human food waste. The first problem is that standard trash and recycling containers pose a threat to these small foxes. This old trash can, next to a fence, allows an island fox to easily climb inside. The fox's diminutive size means it can easily fit through openings and fall into trash receptacles. Aging bins are an enticing hazard. Once inside, island foxes have a difficult time getting out of these containers. Trash can lids are designed to push open from the outside. 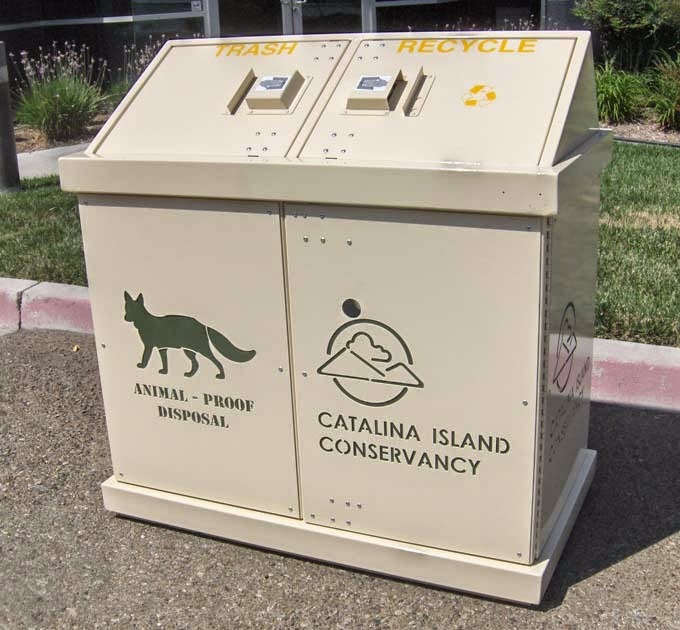 Catalina Island biologists have documented numerous cases of island foxes dying inside trash cans. The second issue is that accessible trash cans encourage island foxes to cross roads and enter dangerous areas. Notice the island fox under the left side of the trash can pictured here. It is pulling trash out of the rusted bottom of this can. Between April and May 2014, four foxes were hit and killed by vehicles in close proximity to open trash cans near Bird Park in Avalon and two more were hit and killed there in November. It is unknown how many other foxes may have been hit by vehicles in the area but did not immediately succumb to their injuries, and were therefore not accounted for. 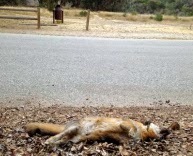 Car strike has become the greatest killer of island foxes on Catalina Island. The island fox pictured to the right was killed by a car, notice the trash can on the other side of the road (to the left). Clusters of unnecessary island fox deaths are occurring in areas adjacent to public spaces with numerous trash cans. 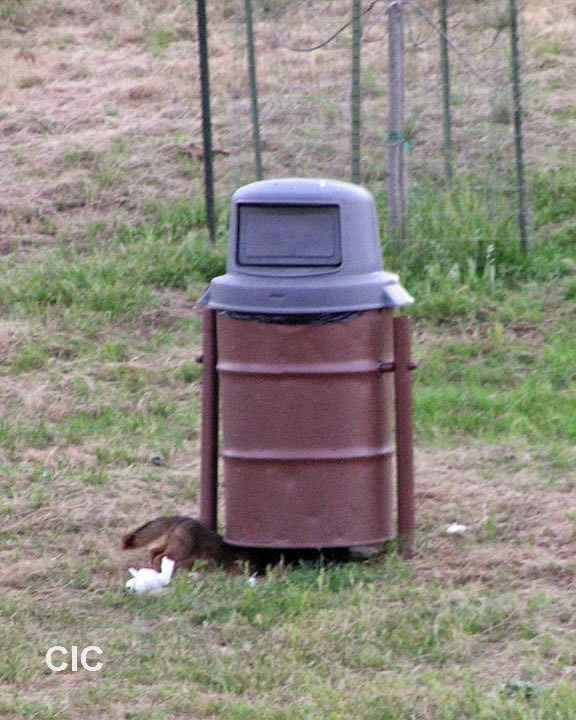 But there is a solution to the double threat: trash bins that island foxes can not access. “Fox Saver” bins are the same sturdy containers used at Yellowstone and Yosemite National Parks to keep bears out of human trash. Opening the bin requires long human fingers. There is no opening for an island fox to easily enter. Once the attraction of available human food waste is eliminated, we hope there will be less motivation for island foxes to cross roads, and maybe less attraction to venture into Avalon. Purchasing these all-steel bins, shipping them to Santa Catalina Island, and installing them on a cement pad comes with a sizable price tag. Each bin costs $2,000. 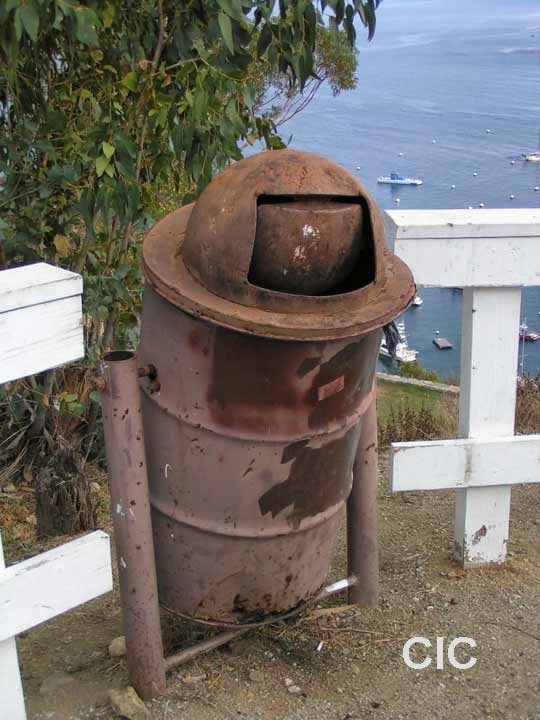 The Catalina Island Conservancy has a goal of replacing 150 trash bins across the island. Friends of the Island Fox aims to raise $6,000 to fund three “Fox-Saver” bins to be placed in Avalon's Bird Park area. This should actively reduce island fox deaths along one of Santa Catalina's busiest roads. Your donation will help meet this goal and save island fox lives. 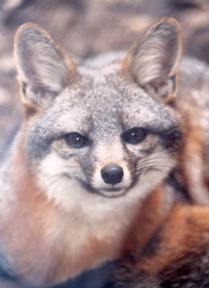 The Catalina Island fox is making a strong recovery, but its current restored population combined with growing human activity has increased direct human threats to island fox survival.